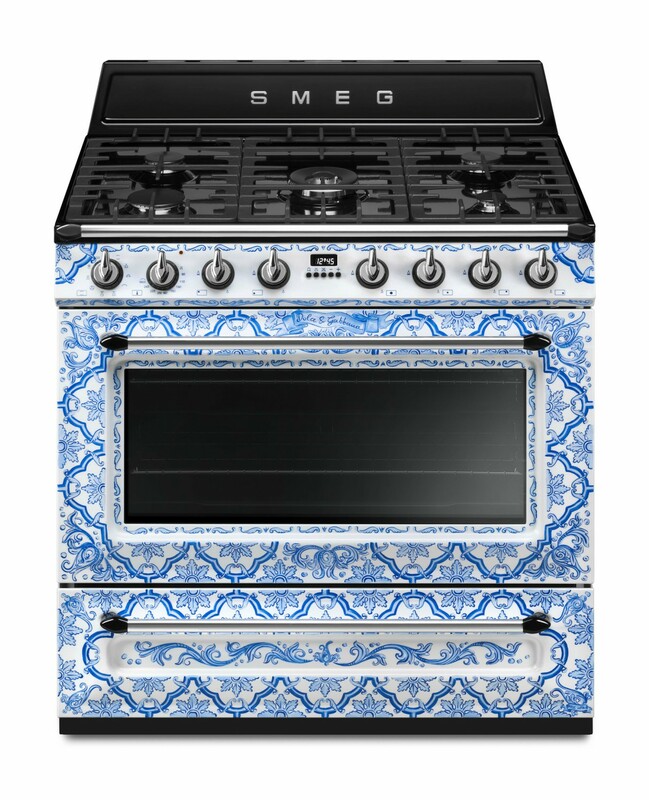 Fresh from an eye-catching line of kitchen appliances last year, chic design house Dolce & Gabbana has once again teamed up with Italian kitchenware specialists Smeg for the third collaboration between the two. Aptly named ‘Divina Cucina’, the latest collection features uniquely colourful cookers and fridges, and we want one. Now. 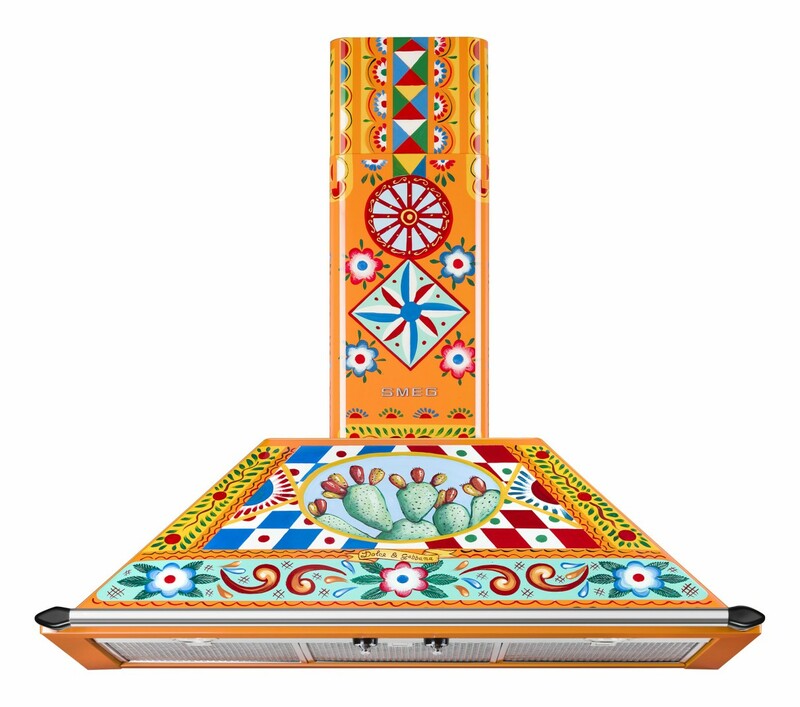 The Smeg x Dolce & Gabbana ‘Divina Cucina’ collection has been crafted with ‘family and the art of authentic Italian cooking in mind’. With a ‘Made in Italy’ ethos, the collection pairs up Smeg’s experience in designing awesome kitchen appliances and Domenico Dolce and Stefano Gabbana’s creative flair. The collection consists of two distinctly different sets of matching Victoria range cooker and extractor hood, as well as Smeg’s iconic FAB28 fridge. 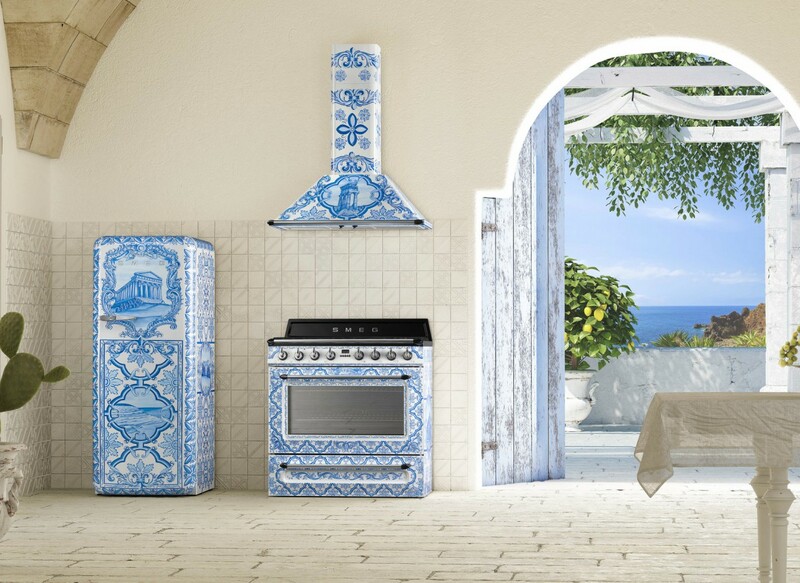 All three appliances have been crafted in summery patterns, celebrating the rich Italian heritage of both brands. The first variation is inspired by Italy’s celebrated maiolica ceramic pottery with a print in shades of ocean blue and pearl white. Each of the beautiful appliance has been decorated with Mediterranean depictions like Mount Etna (the one that ruined Pompeii), the picturesque ruins of the Greek temple of Castor and Pollux in the Valley of the Temples. The second design tells the story of ‘Divina Cucina’ through vivid illustrations of golden yellow lemons, prickly pears, bright red cherries and classic Sicilian decorations that are framed by triangular geometric shapes known as Crocchi. The delicate floral motifs are inspired by vegetation and landscapes of Southern Italy. 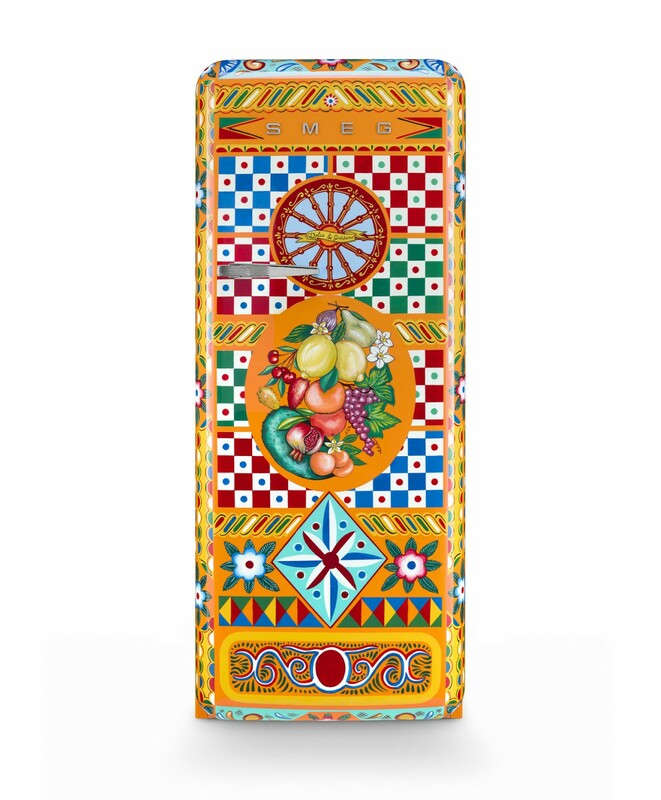 The Smeg x Dolce & Gabbana ‘Divina Cucina’ collection can be found over at the Smeg Website and the collection will also be available to purchase later in the year from Smeg’s flagship store at 14 Regent St, St. James’s, London SW1Y 4PH.